Price lists on the web. Download PDF version of literature price list. Request printed version of literature price list. Price list of used and one-of-a-kind books. The web version of my literature price lists is always the most up to date (most recently updated on 19 April 2019 ). Start anywhere in the links below and you will quickly find the books you are seeking. These pages all use my shopping cart system for streamlined ordering. Remember, any book can be viewed on approval. 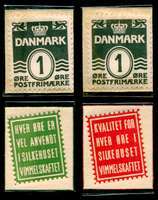 Download the latest Scandinavian Philatelic Literature Price List. Email me to receive a printed copy by postal mail. For some people, this printed version may be more readable or easy to use than printing out the PDF downloaded version. Be sure to see the previously-owned philatelic catalogs and literature for great savings! Check back often, I am regularly adding new books and catalogs. Also, Subscribe to the Scandinavian Philatelic E-News for the newest listings. Be notified of new Scandinavian philatelic books when you subscribe to the Scandinavian Philatelic E-News, my regular (once or twice per month) email newsletter with Scandinavian philatelic news. You will receive announcements of new books and catalogs. 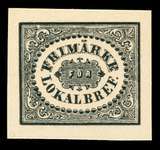 The E-News also includes special sale offers (Scandinavian and world-wide collections, Scandinavian used albums, and pre-owned philatelic literature) at great prices.